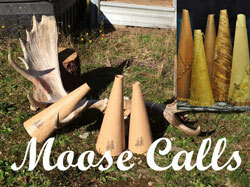 Welcome to the All About Moose Photo Contest. This year we will be offering some fantastic prizes. 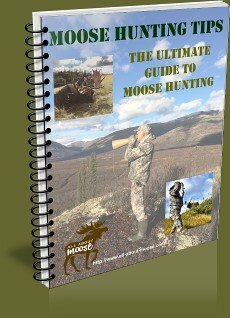 Be sure and collect your best live moose and moose hunting photos (you and your trophy) as you can this year. You will be able to enter them in this contest. 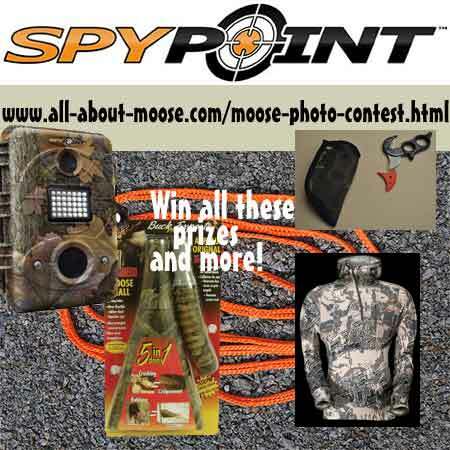 The moose photo contest will run from September 16th 2012 until April 30, 2013, this should give you ample time to go through your digital photos and submit up to four pictures per entry. You may enter as many times as you like. 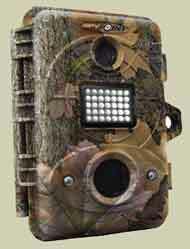 You may use any type of camera to capture your digital image: cell phone, SLR, point-and-shoot or a trail camera. 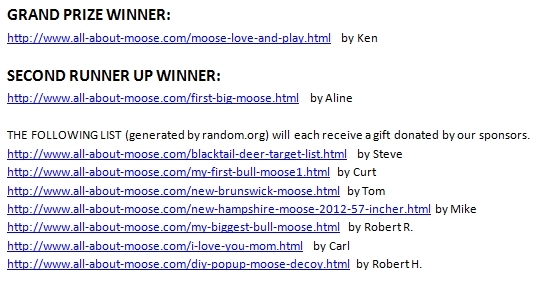 The winners in each category of the All About Moose Photo Contest will be chosen by the number of unique positive votes and comments received per entry. The GRAND PRIZE winner will be chosen from the winners of the two categories. 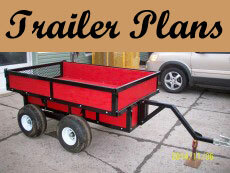 The grand prize winner will be chosen by the administrators and our sponsors. Second runner-up will also receive some great prizes! Random Prizes: There will also be a few random prizes for you! We encourage you to make use of social networking (IE: Facebook, Twitter, LinkedIn etc.) to spread the word about your entries. Share your best pictures of live moose and moose hunting with us. 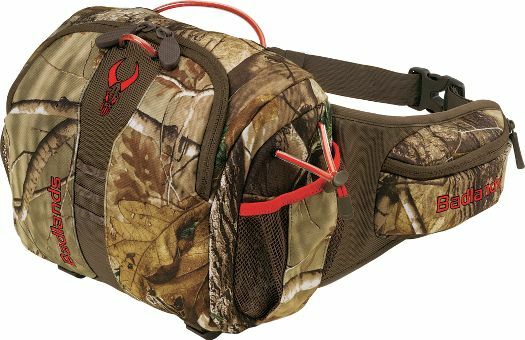 They don't need to be professional quality, the pictures can be taken with your trail cameras, cell-phone or any digital camera. Have you got a photograph of live big game or a trophy, that you took with your 35mm camera that you would like to enter? Have it scanned or use the contact us form and we can set you up with our mailing address so you can mail it in… we can scan it for you. Having problems uploading your contest pictures. Contact us and we can help you do that. What Types of Moose Photos? 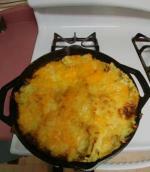 Pictures of live moose and your moose hunting pictures. We would love photos that include moose… with or without you, but, not to exclude anyone, we will also accept other big game pictures. The moose pictures must be your own (or you have permission to use) and not subject to copyright. Any pictures that are submitted and found to be "hacked from someone" will be disqualified and removed from the contest immediately. Enter your: calf moose pictures, cow moose pictures and your Big Bull Moose pictures. Big or small, share them! Also: As I previously mentioned, we will not refuse quality pictures from other species of big game. Thank you for participating in the moose photo contest! Thank you to all who participated! Stay tuned for the winner announcements and for future contests! Please do us a favor, and share this page with your friends! Some of the entries (of 43) have been moved to relevant pages. 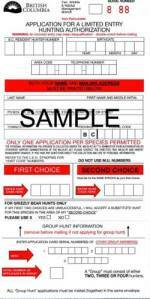 IE: Calf moose entries have been moved to the calf moose page, moose pictures to the moose pictures page, hunting stories to moose hunting stories page, etc.